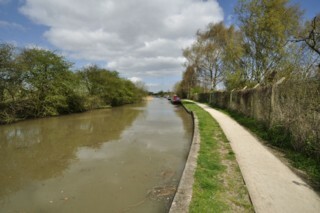 Hawkesbury Junction seen from the South. 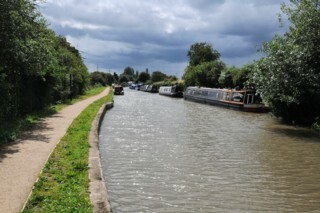 Le Confluent d'Hawkesbury vu du Sud. 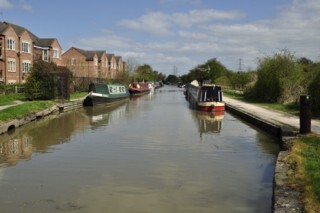 Hawkesbury Junction seen from the North. Le Confluent d'Hawkesbury vu du Nord. 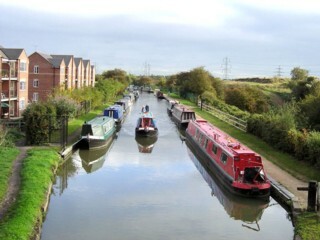 Hawkesbury Junction seen by Google Earth. La Confluent d'Hawkesbury vu par Google Earth. 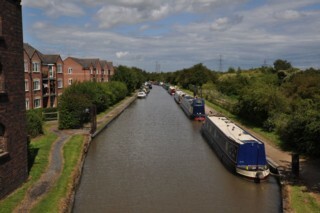 Hawkesbury Junction seen from Hawkesbury Engine House Footbridge. Le Confluent d'Hawkesbury vu de la Passerelle de la Station de Pompage d'Hawkesbury. 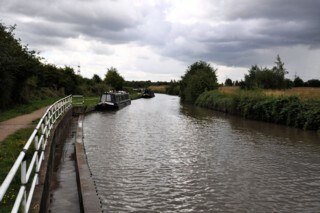 Backwards navigation at Hawkesbury Junction. 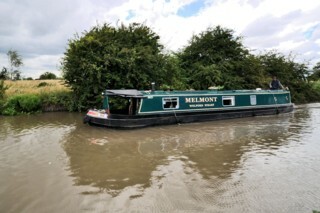 Navigation à reculons à la Jonction d'Hawkesbury. 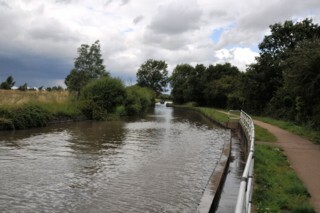 Looking to the North, the Coventry Canal seen from Hawkesbury Junction. 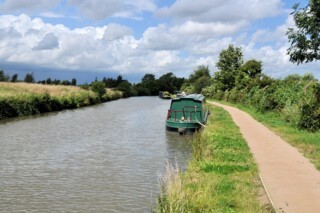 Les regards portés vers le Nord, le Canal de Coventry vu du Confluent d'Hawkesbury. 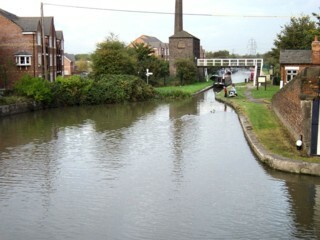 Hawkesbury Toll Gate seen from Hawkesbury Engine House Footbridge. Péage d'Hawkesbury vu de la Passerelle de la Station de Pompage d'Hawkesbury. 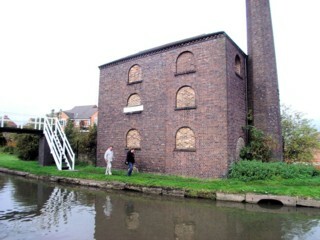 Hawkesbury Engine House Footbridge seen from the South. La Passerelle de la Station de Pompage d'Hawkesbury vue du Sud. 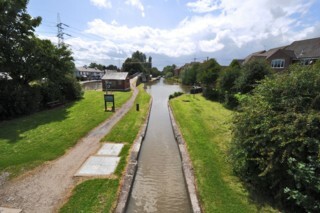 Looking to the North, the Coventry Canal seen from Hawkesbury Engine House Footbridge. 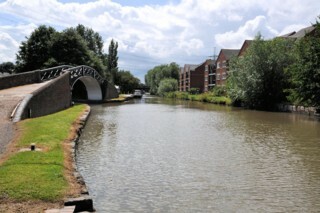 Les regards portés vers le Nord, le Canal de Coventry vu de la Passerelle de la Station de Pompage d'Hawkesbury. 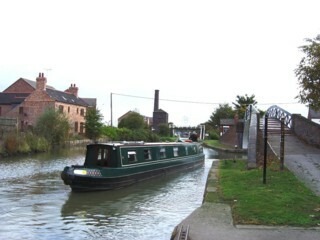 Mooring along the Coventry Canal to the North of Hawkesbury Engine House Footbridge. 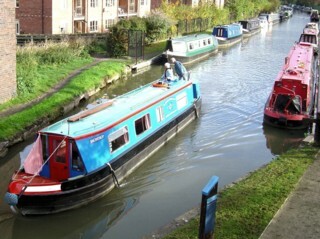 Amarrage le long du Canal de Coventry au Nord de la Passerelle de la Station de Pompage d'Hawkesbury. 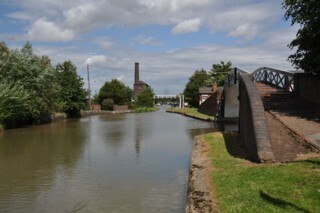 Looking to the South, the Coventry Canal to the North of Hawkesbury Engine House Footbridge. 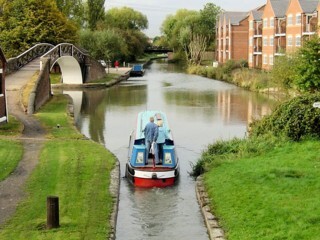 Les regards portés vers le Sud, le Canal de Coventry au Nord de la Passerelle de la Station de Pompage d'Hawkesbury. 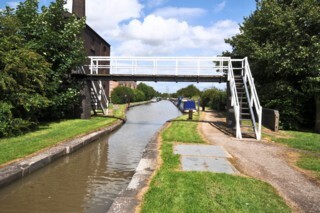 Looking to the North, the Coventry Canal to the North of Hawkesbury Engine House Footbridge. 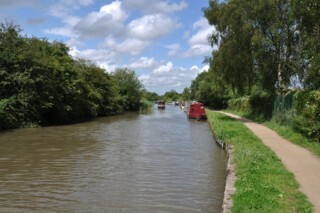 Les regards portés vers le Nord, le Canal de Coventry au Nord de la Passerelle de la Station de Pompage d'Hawkesbury. 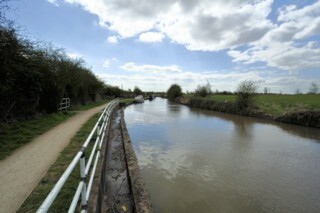 To the North of Hawkesbury Engine House Footbridge. Au Nord de la Passerelle de la Station de Pompage d'Hawkesbury.